This is part of the most complete fasting series you’ll ever find online. Last week, I asked you if you had any questions on fasting. Many of you reverted with questions in the forums, which I’ve since consolidated and sent to Loren Lockman, Director of Tanglewood Fasting Center. Loren is an experienced faster who has supervised fasts in the past 10 years and has spoken in lectures and seminars on topics of health and wellness. He has offered detailed responses to all the questions which I have no doubt will be highly beneficial to any of you who are interested in fasting. There are 16 questions in all which I’ve broken down into pre-fast, during fasting, and post-fast questions. There are fewer questions on the fasting process since I have already covered them in detail in my fasting article and fasting logs (such as symptoms experienced during a fast, what one should do during fasting, and so on), so do read them if you haven’t. Q1. Is there an age limit for fasting? Q2. What is the youngest and oldest age one can fast? There are no limits. If one is alive, they would benefit from fasting. Our oldest client turned 91 while fasting with us, and our youngest was 2.5. The 91 year old suffered from cancer of the larynx and showed up with a tumor in his throat so large it was painful to swallow, breathe, or speak. He fasted 32 days and when he returned home after 6 weeks, they rushed him to the hospital expecting to find that the tumor was much larger and threatening his life, and planned to do an emergency tracheotomy. They could not find a tumor. The youngest client was born with a heart defect and had already had open heart surgery twice, and had been on medication his entire life. He showed up with his parents, very close friends of mine, for a visit from Europe and got off the plane very sick: fever, congestion, etc. He fasted five days (he was only 30 pounds,) felt better than ever, and needed no medication for 4 months after. Q3. I’m physically active, exercise several times a week and work at an office job. Can I continue my daily routine during a fast? No! Fasting is about giving the body complete physiological rest. Ideally, you would do absolutely nothing while fasting, because the more active you are, the more muscle your body will consume, and the less benefit you will get from the process. The whole point is to rest as much as possible so that the body can put all of it’s energy into cleansing and healing, processes that require a lot of energy, and for which the energy does not exist when living our normal lives. Q4. If not, are there any alternatives where I can detox my system and maintain my daily routine? Yes, you can eat a simple diet of mono-fruit meals, ie, only watermelon at one meal, only oranges at another. Only whole, juicy, ripe fruit, and only one at a time. Q5. Are there any benefits to a short-term fasting (1 day, or 3 days) or will it be a waste of time? It takes the body between 3 and 4 days to get into the deepest part of a fast. Fasting for anything less than that provides only a surface level benefit, no real deep cleansing. Furthermore, each time we begin a fast, we go through a stage of the process where there is a larger percentage of muscle consumed (technically, converted to sugar through gluconeogenesis) to feed the body. Consuming muscle with no real deep benefit makes no sense to me, so I wouldn’t recommend shorter fasts, unless the body is calling for it. The french philosopher Voltaire said, “instead of medicine, fast for a day,” and if you wake up with acute symptoms, the smartest thing to do would be to call in sick, stay in bed, and rest as completely as possible consuming nothing but pure water. If you feel better in one or two days, you can get up and eat again, having completed a short fast because your body was calling for it. Q6. Is there an ideal length of time to fast for? Most bodies are both very toxic from living in a toxic environment and from making poor choices around diet (and other consumables,) and chronically dehydrated. Getting the body really clean via water-only fasting is the most efficient and effective way to remedy these two critical issues, (it’s almost impossible to get well-hydrated while carrying a load of toxins throughout the body and old, hardened wastes in the colon.) The longer one fasts, the more successfully they can remove these two primary impediments to feeling and functioning as well as possible. We regularly fast people up to 42 days, and the average person has at least 42 days worth of reserves, more if they happen to be wealthy in nutrient reserves. Please note that fasting more than 1 week on one’s own can be very dangerous and is never recommended. Q7. What are the things one should do to ensure a safe fast and reap the maximum healing benefits of fasting? First fast only with proper, experienced supervision. This does not include medical professionals who generally have no knowledge or experience of what is and is not OK while fasting. Second, rest as completely as possible. The whole point of not eating is to liberate energy so that the body can use it for cleansing and healing. If one is not taking in fuel, but is going about their normal life, they will be wasting precious energy now not available for cleansing and healing. Doing anything unnecessary while fasting is dangerous and counterproductive. The ideal is to lie down and close your eyes as much as possible. Sitting in front of a computer or a television is very enervating, and very counterproductive. Q8. Are there any long-term side effects with fasting? There are many effects of fasting, all positive. However, whether they are long-term or short-term depends on the choices one makes after the fast. Fasting is like a giant reset button, but to maintain the amazing benefits that accrue by fasting properly (resting as much as possible) one must continue to make excellent lifestyle choices after the fast. Q9. I’ve read that ketosis is bad for the kidneys. Is it true? Normally, when the body is in ketosis, there is a problem. However, like every other species on the planet (all of whom fast when sick or badly injured enough,) the body is designed to fast safely by going into ketosis and using ketones (breakdown products of fat metabolism) instead of glucose to run the body. Q9. During my fast, I have strong headaches. Is this normal and why does it happen? There are many reasons that this could happen. If you are not consuming enough water, you might have a headache. (the headache that accompanies a hangover is caused by dehydration). But headaches also appear as a result of pressure and activity in the sinuses, as a result of man-made toxins crossing the blood-brain barrier, and from several other possible sources. Headaches are not unusual while fasting. It’s important to understand that all symptoms are evidence that the body is cleansing or healing, and that the best we can do is to insure that we are safe while we get out of the way and let the body do what it needs to do. Q10. Should I do water fasting with flushes for the digestive tract (e.g. salt water flushes) or enemas? If so, which ones do you recommend? No, I do not recommend these flushes. Salt is a toxic inorganic mineral which raises blood pressure and causes the body to retain excess water to dilute the toxic salt. Other flushes involve consuming other toxic substances to try to force the body to react in a beneficial way. Enemas flush out beneficial bacteria and change the pH of the colon. Ideally, we simply relax and wait, eliminating when the body is ready to. This sometimes happens while fasting, and usually occurs between 3-5 days after starting to refeed again (if refeeding properly.) Like every other living organism, the body is completely self-healing and self-cleansing and does not need us to direct it in any way. Rather, we simply need to get out of the way and allow the body to do what it needs to do. Q11. Should I take a multi-vitamin during a fast? No, and in fact, if you do, you are not actually fasting and are putting yourself in potential danger, as well as exacerbating existing issues. Much of the benefit of fasting accrues as a result of the physiological changes that result in the complete absence of nutrients and calories coming in. When we consume nutrients or calories of any kind, we are not fasting, and we do not get nearly the same benefit. Without moving into the specific adaptations to the fasting state, you could put your body in serious danger of starving by consuming nutrients with few if any calories. Furthermore, I would virtually never recommend using supplements at any time as you will train the body to become less able to assimilate what it needs from food, instead, learning to rely on the supplements. No, it is never a good idea to chew gum or use mouth spray, fasting or not. While fasting, again you will be consuming calories and forcing the body to secrete enzymes on an ongoing basis as a result of chewing gum, making the body work harder than it needs to and wasting precious resources and reserves. Mouth sprays are toxic. Your bad breath is the result of the elimination of toxins from your body and will shift as your body gets clean. Q13. Is it possible to build muscle by exercising while fasting? No. Fasting without injuring the body requires complete rest. As the need for calories increases (by exercising, for instance) the body will consume more muscle as it is a more efficient source of fuel than fat. Every other species on the planet will lie down and not move while fasting to conserve their precious reserves and not injure themselves. We can’t improve on nature and would do well to follow suit. Fortunately, though one will usually feel weak while fasting, that is because of the presence of toxins in the body and if we rest as completely as possible, we will actually lose very little muscle on a several week fast, and once we are finished, if we refeed properly, our newly efficient body will rebuild muscle fairly quickly. Q14. I read that even when one enters ketosis stage, the body is still burning muscle, just that it’s a much lower portion (about 5-10% or so) compared to fats (all the rest). Is it true? Yes it’s true the body is always converting some muscle to sugar while fasting, and the more active one is, the more muscle is consumed. Without resting completely, it is possible to really hurt yourself. Q15. How should one break a fast? I read that we should start with the most easily digestible foods, working from fruit juices, to fruits, to vegetables, and cooked food if one consumes cooked food. I (personally) do not use juices unless someone is physically too weak to eat solid food (and this has happened no more than a few times in 15 years). Juices are fragmented, unnatural foods, and fruit, carrot and beet juices contain lots of sugar with no fiber to slow down the absorption of that sugar into the blood stream, causing a rapid rise in blood sugar. By not consuming the whole food we are losing the benefit of any nutrients which may be bound up in the fiber…and that could be a significant amount, given that only about 5-10% of all plant nutrients have even been identified yet. Additionally, because most people have quite a bit of old waste in the system, they need the fiber to begin eliminating this old material which prevents them from both assimilating properly and ever becoming properly hydrated. You may want to substitute other fruits if you can’t get watermelon or papaya now. In fact, if you are not in a warm climate, I would not necessarily recommend watermelon at this time of year (Feb). You can use apples, pears, or other juicy fruits as well. The idea is to very slowly increase your food quantity to jump-start the appetite and to encourage your metabolism to stay as low as possible, making your system as efficient as you can. When you begin to eat, you want to stop drinking 30 minutes before each meal, and wait 45 after. This will mean only about 30 minutes to drink that first day, and you will basically need to spend your day drinking, eating, and resting in-between. By about the third day, you might be ready for some very light exercise, increasing it slowly each day thereafter. Be careful about not overdoing it too quickly. There’s no rush and you don’t want to set yourself back. Q16. I’ve read that many fasters regain their weight post-fasting, and then some. If weight-loss is one of the objectives of fasting, how can one keep the weight off post-fast? It is critically important that we refeed properly, continuing rest for at least the first couple of days (or much longer if reserves have been seriously depleted due to the length of the fast or the small amount that the faster started with.) It is also important that we increase our caloric intake slowly over the course of the first week (or longer, depending on the length of the fast.) Finally, it is important that we make excellent diet and lifestyle choices after the fast to maintain the gains. Q17. Is there a recommended frequency one should fast for? (i.e. once a year, once every 2 years?) Is it safe to do a long fast (3 weeks+) after 3-4 months of doing a 3-week fast? My clients seem to benefit by doing three or four fasts of 3 weeks or more over the course of a few years. If making excellent diet and lifestyle choices, it may not be necessary to fast much more beyond this, save a “maintenance fast” every five years or so. The point is to use fasting to allow the body to eliminate old toxic waste and debris, heal anything that needs healing, and ultimately, set the stage for proper hydration, then to make the choices that allow one to continue functioning at the highest level possible. How often someone can safely fast depends on how long the fast is for, and how much excess fat they are starting with. There are truly no formulas and anyone would be well-served to consult with someone who has significant experience supervising fasts. Some people can safely fast for several weeks – 3-4 months after their initial fast, but most would be better off waiting closer to a year. Again, each situation is different. And again, (and I apologize if I sound like a broken record) but no one should be fasting 3 weeks (or much longer than 1 week) on their own. It is not safe and most people are not capable of knowing when they are and are not OK. This is a very serious process and not something to be messing around with. And though it may seems expensive for some to fast at a fasting center, it is well worth the expensive for the dramatically better, safer, and more productive experience that most people have, at least for the first 3 or 4 fasts. Q18. What are the best ways for one to rebuild muscle and restore one’s metabolism rate post fast? The best way to rebuild muscle after fasting is via exercise. Starting gradually so as not to overdo and injure oneself, one begins to exercise the entire body. If done properly, one can usually rebuild lost muscle relatively quickly with no problem. Metabolism is poorly understood by most, and increasing it is only desired by those that want to be able to consume more without gaining weight. Lower metabolism means that we are more efficient machines and need less food to do the same work. This is what we should be striving to achieve. By refeeding properly, we allow the body to stay as efficient as possible. Celes’ Note: Thank you so much to Loren for taking his time out for this very valuable interview. I hope you have found it helpful; it certainly has for me and has reaffirmed a lot of the fasting literature I’ve read. About Loren: Loren Lockman is the founder and director of the Tanglewood Wellness Center, an established fasting center. 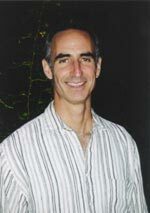 Since 1993, Loren has been supervising fasts and teaching these principles to many people throughout the US, Canada, the UK and Europe. He also works with clients in over 32 countries over the phone and via the internet. His natural approach has helped many people gain vitality, youthfulness, and overall health. Learn more about: Tanglewood Wellness Center.